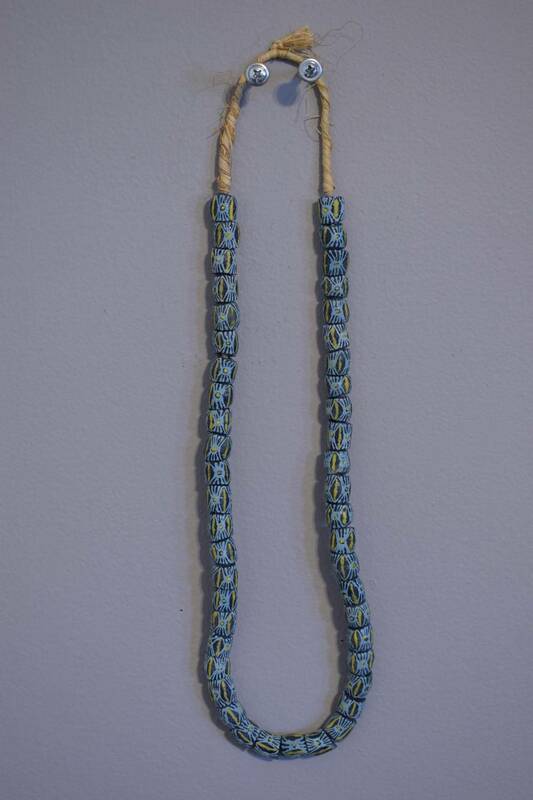 This is Vintage African Blue and Yellow Square Sand-Cast Beads. These beads are also know as powder glass, because their surfaces texture resembles a grainy surface such as sand. 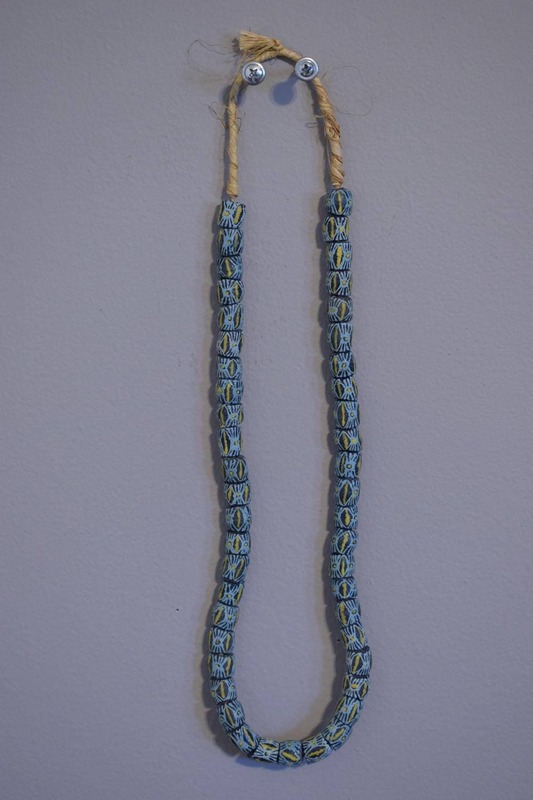 They are strung and tied on wet raffia. This strand was purchased 25 years ago when I was creating my own jewelry designed necklaces. This strand of sand cast glass is muted in color, but would be wonderful just to wear or create your own unique designs in necklaces, bracelets, earrings and use in your crafts. I am offering fabulous African Masks, Statues, Jewelry and Beads that I purchased from a private collection. These items were collected in the field 25 years ago. These beads will vary in color and size, but otherwise in good condition.